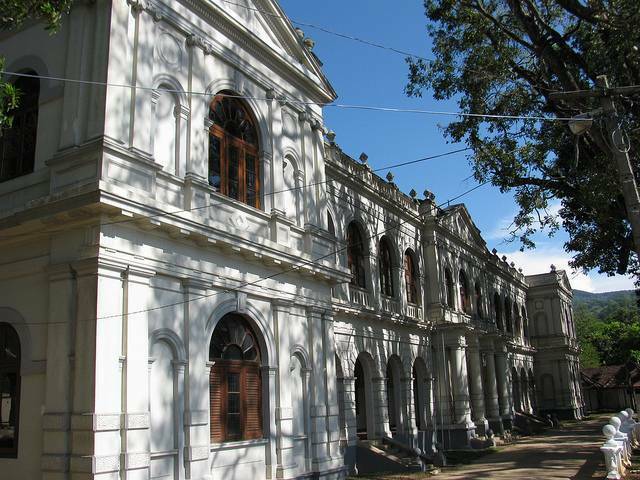 The National Museum is yet another tourist destination located in the city of Kandy. It lies beside the Temple of the Tooth Relic and is visited by travellers from many different countries. The building was originally set up by King Wickrama Rajasinhe and was known as “Palle Vahala”. In earlier times it was used by the kings and queens for their accommodation. The Kandya art association was establish in 1832 and made many artefacts and historic items which is displayed at this museum today. You can find loads of exhibits here including royal relics, thrones, sceptres, jewellery, coins and tools used during various periods. Most of these items date back to the 17th and 18th century. A very prominent thing at this museum is the motionless statue of Sir Henry Ward, a former British governor of Ceylon. This museum consists of many architectural wonder which is located strategically and scattered throughout for the tourists. The museum is a little ruined due to poor maintenance but the exhibits are worth the visit. The National Museum provides a great opportunity to explore the heritage of Sri Lanka. Ancient moonstones, old leaf manuscripts, pots of varied sizes and some striking statues can be found here. The front door and some other structures are original. The museum has curated exhibits from the Kandyan kingdom and makes for an interesting visit. This museum is the place to learn about the traditions, customs and rituals of Sri Lanka!